2012 Summer Olympic Games hopefuls. Jim Waggoner of the Staten Island Advance wrote the following article about me. It was an exciting time for me and a great honor, and some of my friends asked me to share it with all of you. NEW BRIGHTON -- A USA Olympic flag flutters proudly these days from outside the office building of Staten Island Chiropractor Dr. Victor Dolan, also a healthcare provider for the Curtis High School football team on game days. The 53-year-old sports medicine maven recently returned from a two-week assignment providing medical care at the United States Olympic Training Center (OTC) in Colorado Springs, Colo.
“To go there and be able to experience and contribute, it was wonderfully exciting,” said Dr. Dolan. “It was great to work on athletes who want to get better, and to pick up new techniques from medical people. Dr. Dolan’s journey began with a scenic ride up Pikes Peak — courtesy of locals John and Gail Warner, both former classmates at Palmer College of Chiropractic in Iowa — and continued with marathon days with athletes mostly training for the 2012 Summer Games, with a few recent Winter Games stragglers passing through for treatment. Dr. Dolan, who has volunteered as a Curtis HS football team chiropractor for 22 years, was picked for the volunteer position by an OTC committee and worked primarily with wrestlers, gymnasts and weightlifters. The days were long, yet rewarding. Chiropractors have experienced a growing profile in recent years: The United States sent five specialists to Vancouver for the Winter Games, a significant increase from the usual one or two. 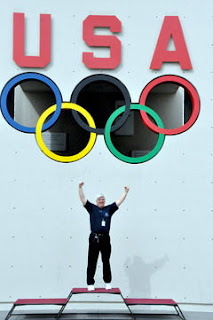 Staten Island Chiropractor Dr. Victor Dolan now waits to hear if he will be called for future international competitions, such as the Pan American Games or even a future Olympics. QUESTION OF THE DAY: What are your favorite Olympic events? 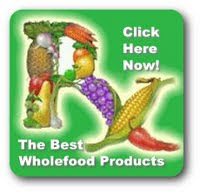 Please post your comments and observations at http://www.facebook.com/Dr.VictorDolan.